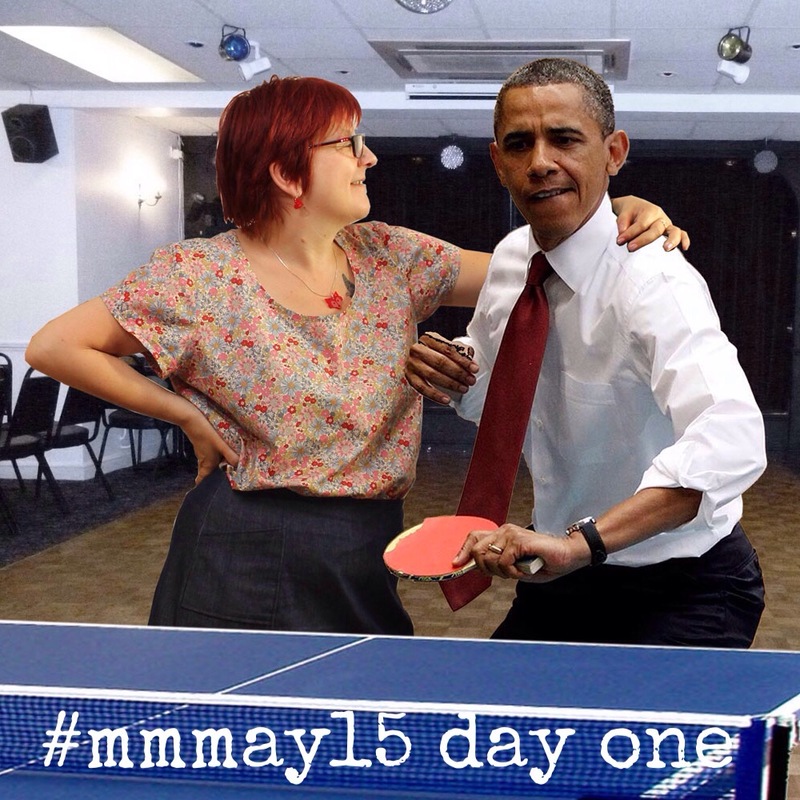 Playing ping pong with Obama, wearing a Grainline Scout Tee in Moda Regent Street Lawn with a denim 6 panel skirt from the Sew Serendipity book. 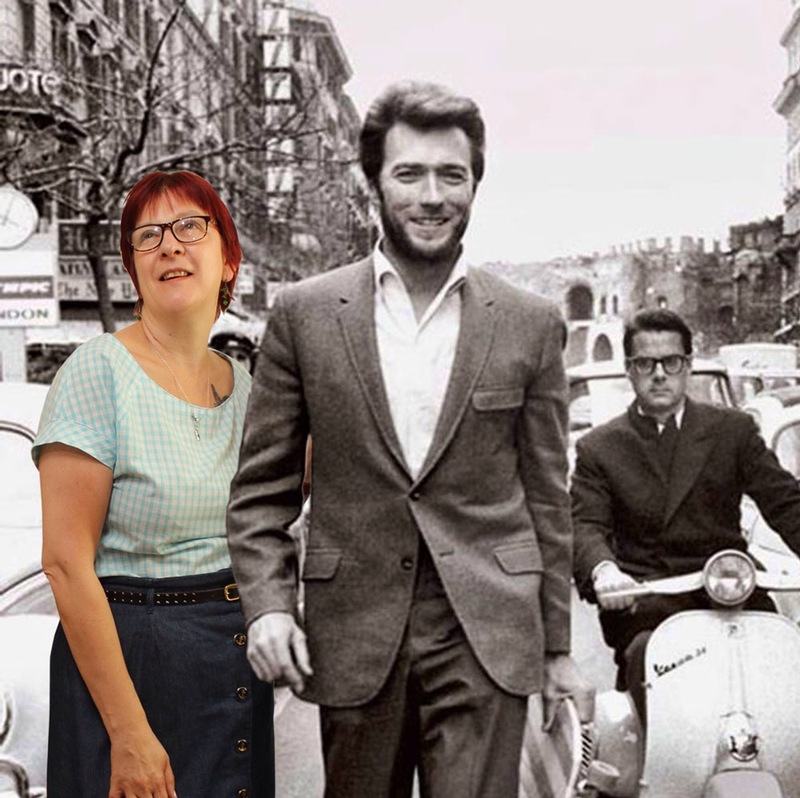 Hanging with Paul Newman in my Sewaholic Oakridge blouse in Moda Regent Lawn, I love this fabric its soft and drapey and hangs beautifully, with a Tilly & the Buttons Miette skirt in Chambray Lawn. Completely star struck by Clint Eastwood! What a hunk! Wearing one of my favourite tops, a Gingham Sewaholic Belcarra blouse with a Colette Beignet skirt in denim, what do you think of the Anchor buttons on my skirt? 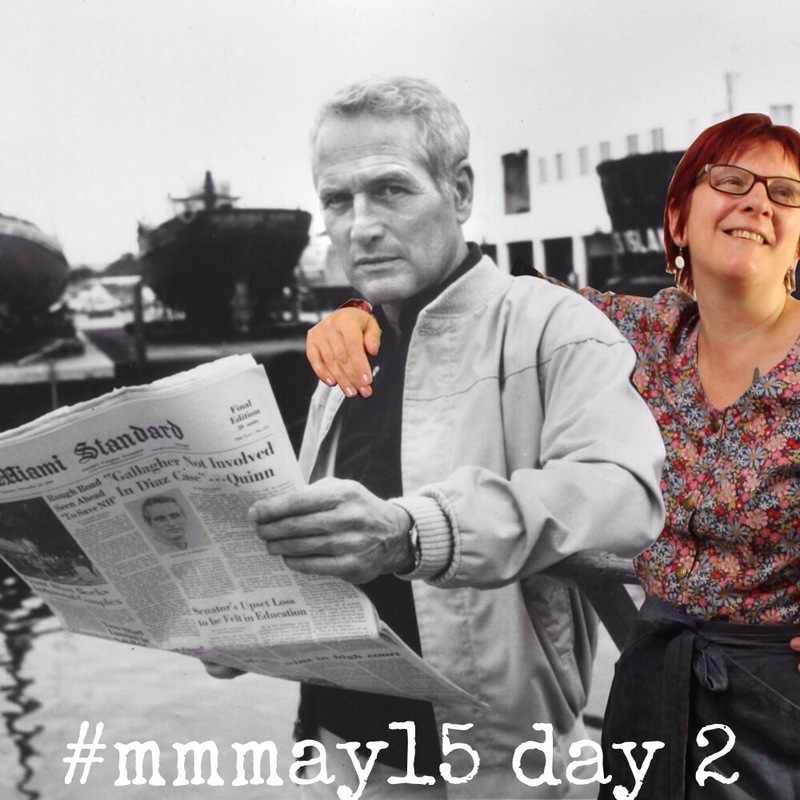 Keep reading to see who else I am going to bump into during #mmmay2015 and what outfits I will be wearing. This entry was posted in Me Made May 2015 and tagged memademay, mmmay2015, trixielixiemakes, vintage by Trixie Lixie. Bookmark the permalink. Thank you Ann, I hope you get round to sewing some of those patterns, I love wearing ‘Me Made” and probably do it almost every day now, I just need to make myself some jeans and bra’s and Then my wardrobe will be completely hand made!